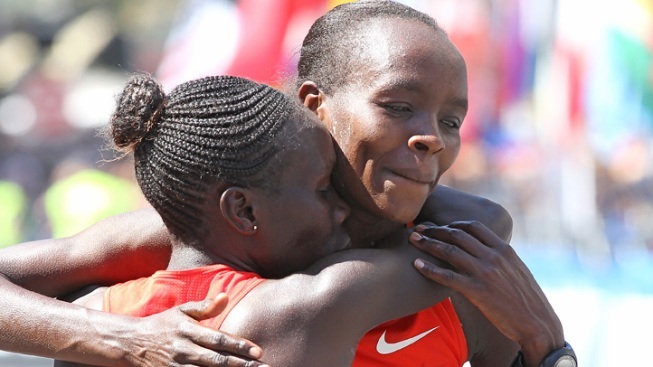 Sharon Cherop of Kenya, left, hugs Jemima Jelaget Sumgong of Kenya after Cherop won the women's division of the 116th Boston Marathon on the April 15, 2012 in Boston, Ma. Jemima Sumgong has mixed memories when it comes to the Chicago Marathon. The Kenyan runner set her personal best time of 2:20:48 in the 2013 edition of that race in which she stayed with her training partner, Rita Jeptoo, through 22 miles but ended up settling for second. This year, she's hoping to find an extra gear to finish in front. Sumgong's career highlights include a win at the 2013 Rotterdam Marathon, a second place finish at the 2012 Boston Marathon. Sumgong's 2:20:41 finish in the 2014 Boston Marathon broke the course record, but three runners finished in front of her. 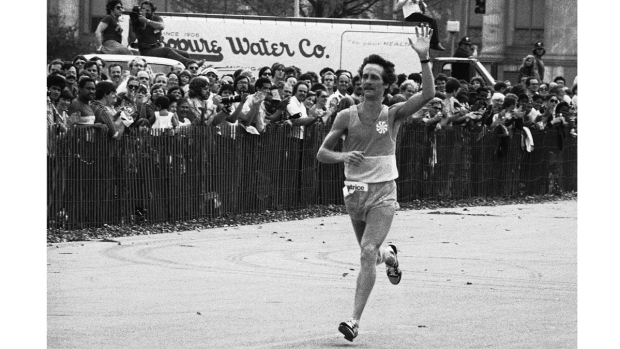 Don't be shocked to see another Jeptoo/Sumgong duel on Columbus Drive this year.